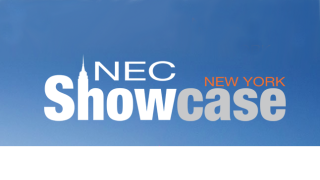 NEC Display Solutions of America will hold its annual New York Partner Showcase, featuring the latest visual technology solutions to meet business challenges, on October 26 at SIR Stage 37, just minutes from Times Square and the Javits Center. Now in its 23rd year, the NEC Partner Showcase gives organizations, partners, systems integrators, and business professionals a sneak peek at the latest NEC Display innovations in LCD, LED, video wall, and projector technologies coupled with mounts, media players, CMS (content management system), content, and other tools from NEC’s premier partners in the professional AV and IT industries. In addition, the event demonstrates how display solutions can be integrated with analytics, artificial intelligence (AI), augmented reality, biometrics, and the Internet of Things (IoT), leading to improved automation and business workflows, better decision-making and collaboration, and greater intimacy with audiences and customers. The event will feature demonstrations of solutions for various industry sectors, including broadcast, command and control, entertainment, education, financial services, restaurant, retail, transportation, and many more. And unlike the crowds and noise of a typical trade show, the New York Showcase provides an intimate setting for attendees to chat at length with NEC and other experts who can help them address their individual business needs. Course attendees will come away with a better understanding of how laser/phosphor technology works from the optical standpoint. The class identifies technologies that make up the optical system on different imaging devices. Attendees will also get a glimpse into why and how certain components are used, including how NEC projectors fit within this mix. Join NEC as it reviews and educates on how to determine the right display technology, including laser projection, UHD and LED, for a variety of applications. Attendees will come away with how and why to use one technology over the other and what if any challenges they may face.